If you want to record your computer’s activity, you need some screencasting or screen recorder tools. Screen recording is useful when you need to create some software video tutorials on your computer. Some tutorials can be made easily with screenshots but sometimes you need videos to express ourselves better. Recording videos and then video editing is the main requirement for this. So we need tools that record videos and also come with a simple video editor. These kinds of tools are called Screen Recorder or Screencasting Tools. 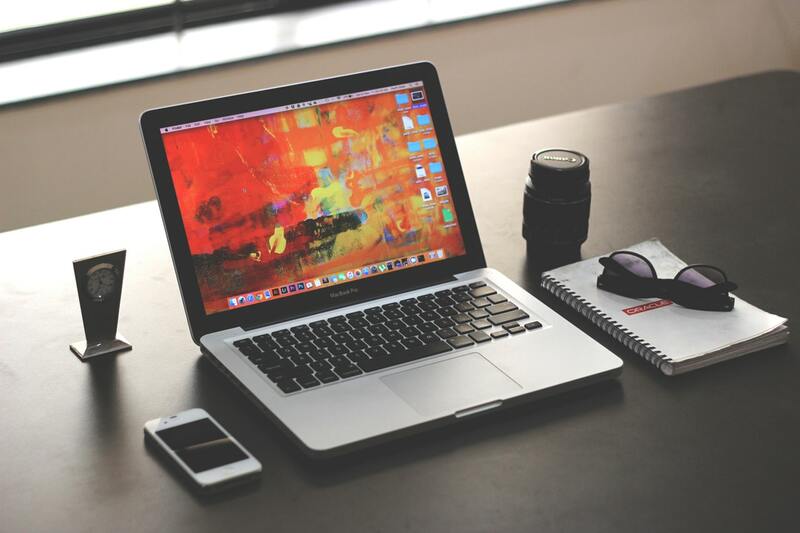 There are many free and premium tools are available that allow users to record videos of activities of their computer. In this post, I am listing a few best screen recording or screencasting tools. You can use any of these tools to create your video tutorials by recording the computer screen. Open Broadcaster Software or OBS Studio is one of the best screen recorder software that supports Windows, Mac, and Linux platforms. It supports different video encoding technologies. You can record everything on your desktop from apps to games and also from your webcam or any other sources. It also supports many output formats including FLV, MP4, MOV, MKV, TS, and M3U8. This is a free screen capture software and there is no paid version of this. Screenrec is the best and free screen recording software you can try. It lets you record the whole screen or any selected area of your system’s screen. You can also include your voice in videos. So, this helps in recording video tutorials. You can also use it to capture screenshots. This screen recording software also comes with FREE private cloud storage, enterprise-level security, video management tools, and analytics. That means you can also host your business videos for free. Screenrec is available for Windows, Mac & Linux. Screen recordings are saved in the .MP4 format which can be played on any device. ApowerREC is also a good screen recording software that can record your system’s screen and webcam video. It can also record system sounds and mic audio. This screen recording software also lets you add texts, annotations, shapes, highlighter and more things in the video to decorate to as per your requirement. It lets you export the recorded video in various formats. The free version comes with restricted features but you can buy the pro version to enjoy all features the software. 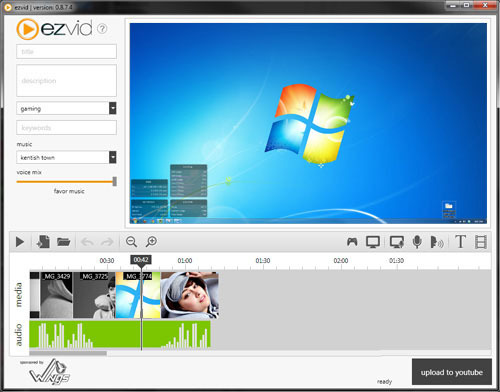 Ezvid is a nice screen recorder program that also comes with a built-in video editor. It is free and comes with many nice features. You can record videos, capture screen appearing on your screen in a single click. It also lets you draw on the screen that helps if you are recording tutorials. This tool also inches free music to use if you are not recording your voice. It also includes instant face cam and voice Synthesis. 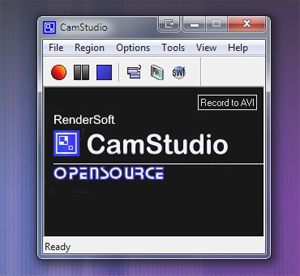 CamStudio is a windows only screen recording software. It is an open-source tool that is very popular among users. It can record activities and audio from your computer and create standard AVI videos. The tool can also add high-quality screen captions in recordings. You can use Video Annotation feature to personalize your videos. This one is a web-based screen recording tool that also includes basic video editing capabilities. You can run this tool on a browser but it requires an internet connection. It lets you record screen and records your webcam. It can also add annotations within the video. It can also capture your computer’s audio. It lets you crop your videos and that’s the only editing capability it has. You can either download recording on your computer or upload it to Google Drive, YouTube or other cloud storage. It also supports multiple video format for your output videos. This is a simple screen recording program that comes with simple iconic GUI. It records screen and helps users to create screencasts. It also exports its video to an AVI file format and gives an automatic name to videos. You can capture multiple windows and objects including multi-level menus. It records onscreen changes, speech from microphone, and mouse movements. This software is free and contains no ads. TinyTake is a lightweight and simple screencasting software that lets you record video clips of your desktop and webcam. This is a free recorder and lets you just record videos of up to 5 minutes. You can extend the limit, remove ads, get annotations options and YouTube integration if you pay for the premium version. VLC Media Player is a popular media player that also has the capability of screen recording. So, it can also work as a free screen recorder if you want. But do not expect much from it. If you want, you can also add external audio to your screen recording. It also supports capturing footage from the webcam on your PC. You can also cast your screen over the network.